The Christie and Chinua Achebe Foundation and the Black Studies Department of the City College of New York has announced that on December 12, 2018, in the Aaron Davis Hall of the City College of New York, United States of America, Mr. Kgalema Motlanthe- Former President of South Africa - will deliver the Chinua Achebe Leadership Forum Lecture, a statement credited to Dr. Chidi Achebe, Director of the Foundation and President and CEO of African Integrated Development Enterprise Inc, said. The Chinua Achebe Leadership Forum is being organized as a high profile international platform to discuss Africa's challenges in keeping with Professor Chinua Achebe’s life’s work. 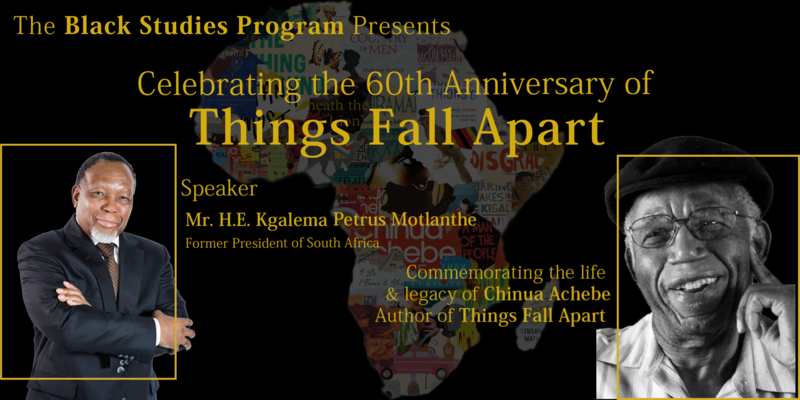 This year’s lecture is dedicated to the celebration of the 60th anniversary of Professor Achebe seminal African novel in English, Things Fall Apart. Immediately after the lecture, there will be a roundtable discussion with the President, and a distinguished panel of scholars.